First chance to buy SFF flowers! Spring Forth Farm will join several other local farms at a market hosted by UNC students at The Pit on Thursday, April 17 from 10AM-2PM. 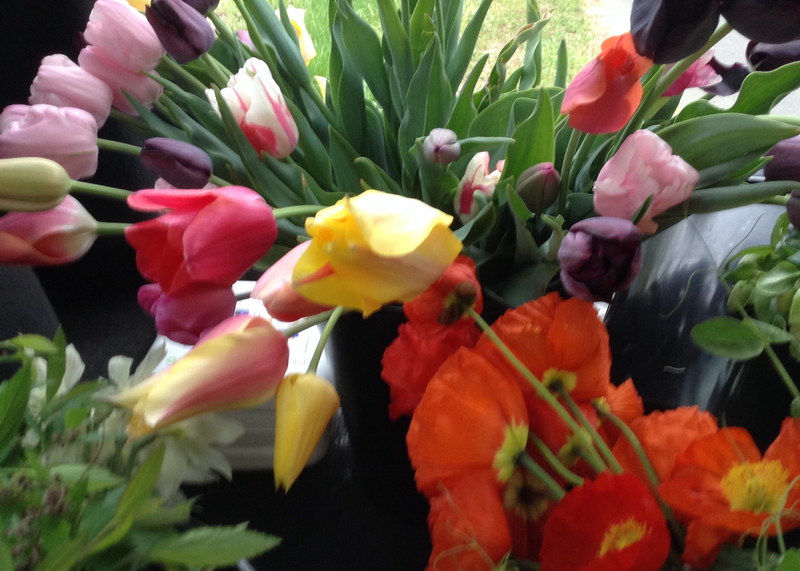 We will have beautiful spring bouquets featuring our French tulips and poppies. Here they are in buckets, safe from the rain, wind, and frost this cold April week. Come pick up a piece of spring sunshine. For more information, visit the event on Facebook. 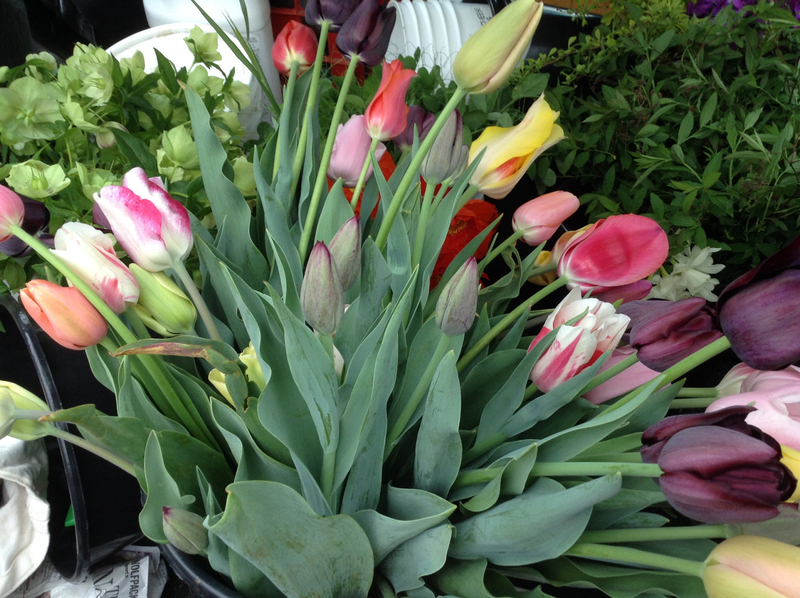 A bucket of French tulips for the FLO/CDS farmers market at UNC on 4/17 from 10AM-2PM.